Finding the best sports utility vehicles that you can afford can be a challenge. 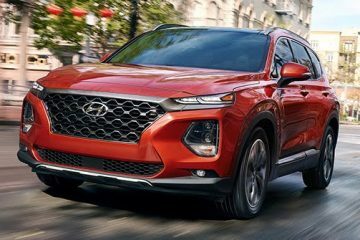 High-performance SUVs usually come with a steep price tag, which is why finding an option that offers a good mix of price and performance like the 2019 Hyundai Santa Fe can be so refreshing. With an MSRP starting at just over $24,000 for its base level of trim, the Santa Fe offers some good options for the SUV enthusiast looking to keep costs low. 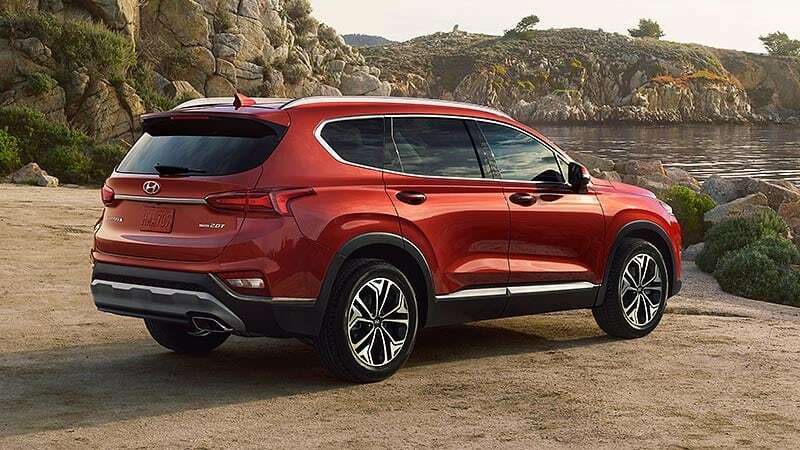 Meanwhile, available options and higher trim packages only add around a maximum of $10,000 to the base price, meaning that a fully-loaded 2019 Santa Fe can be yours for a fraction of the price of other “luxury SUV” makes and models. 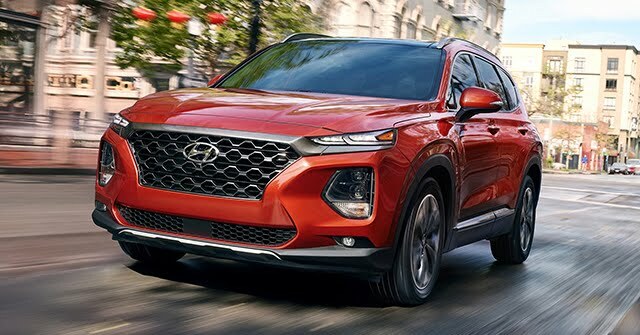 When it comes to economic performance, the 2019 Santa Fe offers some excellent options. The Santa Fe’s base SE model boasts a 2.4-liter inline 4-cylinder engine that provides 185 horsepower at 6,000 RPM and offers 178 ft.-lb. of torque at 4,000 rpm, providing this SUV with a respectable 2,000-lb. towing capacity. Fuel efficiency is high, with a combined 25 mpg for the front-wheel-drive Santa Fe. The all-wheel-drive model, which offers better traction control, still comes in at a respectable combined 23 mpg, making it a competitive option. 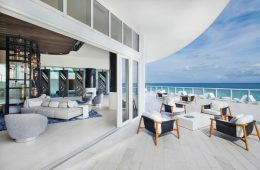 There are also two high-performance levels of trim for the 2019 Santa Fe that feature a turbocharged 2.0-liter engine. 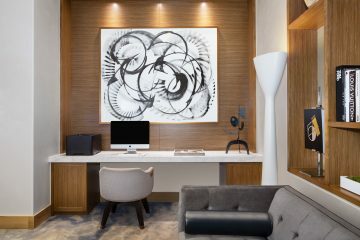 Smaller but more powerful, these 2.0T models output at 235 horsepower at 6,000 RPM and also provide additional torque, with 260 lb.-ft. at 1,450-3,500 RPM. This increases the Santa Fe’s towing capacity from 2,000 lbs. to 3,500 lbs. but only slightly reduces fuel efficiency, with the front-wheel drive and all-wheel drive combined consumption dropping to just 22 mpg and 21 mpg respectively. 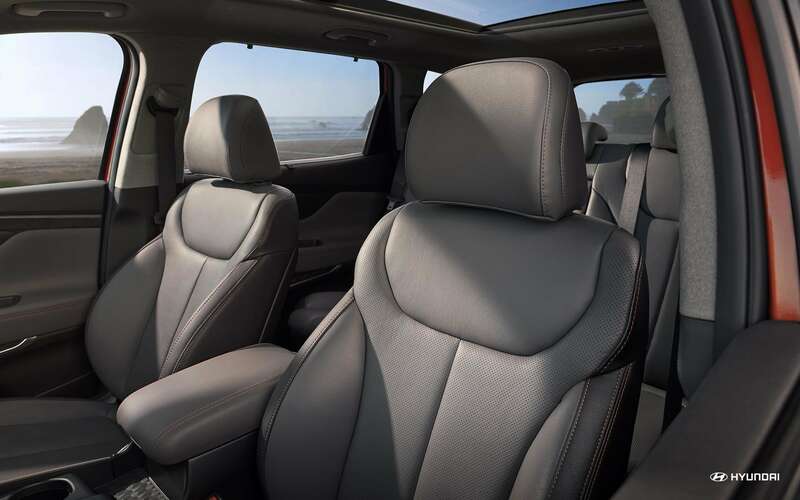 Regardless of trim level and package you choose, the 2019 Santa Fe does offer excellent options both inside and out. Standard features include 17-inch alloy wheels, more than 40 inches of headroom in the front row and 39 inches in the back row, and a six-way adjustable driver seat with two levels of lumbar support. 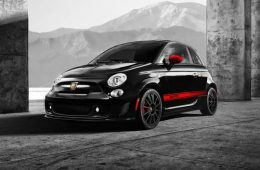 A 7-inch multifunction audio system, 5-year/60,000-mile warranty with unlimited roadside assistance and a 10-year/100,000-mile powertrain warranty wrap up standard features. Looking for more? The Santa Fe’s available features include push-button start, safety features like an immobilizer, rear occupant alert, and reverse parking distance warning, a panoramic sunroof and shark fin antenna, heated front and rear seats, wireless device charging, premium audio, and climate control options, and even an advanced head-up display. 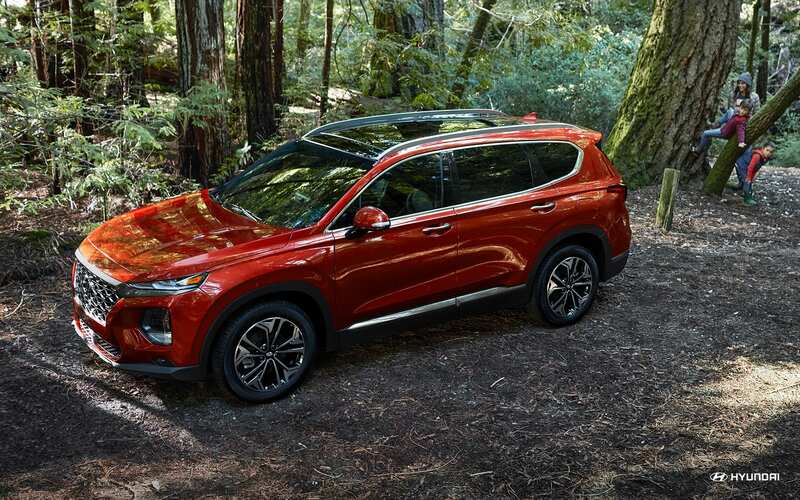 Coming in at just over $34,000 with all the bells and whistles, the 2019 Santa Fe is a great choice for luxury features on a budget. Why take a Taxi back when you can take this Mercedes Benz Helicopter?? 10 CAR AUCTION THAT WILL MAKE YOU DROOL AND MAKE YOU WANT TO WORK HARDER. MEET THE FASTEST SUV IN THE WORLD: THE BENTLEY BENTAYGA.